If a chapter has been uploaded to ScreenSteps Live you will see a globe icon next to the chapter (1). Clicking on the icon will display a menu. 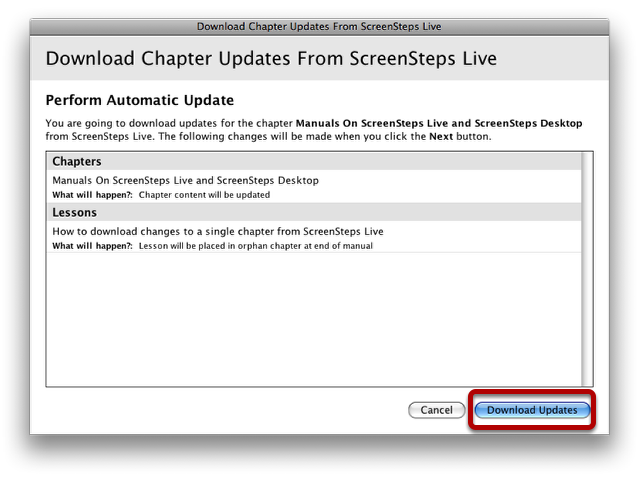 Select Download Changes from ScreenSteps Live. You will be notified of any changes that will be made to your chapter before you download. If you want to accept the changes, select Download Updates.